The Republic of Gamers (ROG) division of ASUS has announced a new addition to its ROG Sica line of gaming mice, namely a new white version that comes with the new Glacier White color and updated Omron switches. 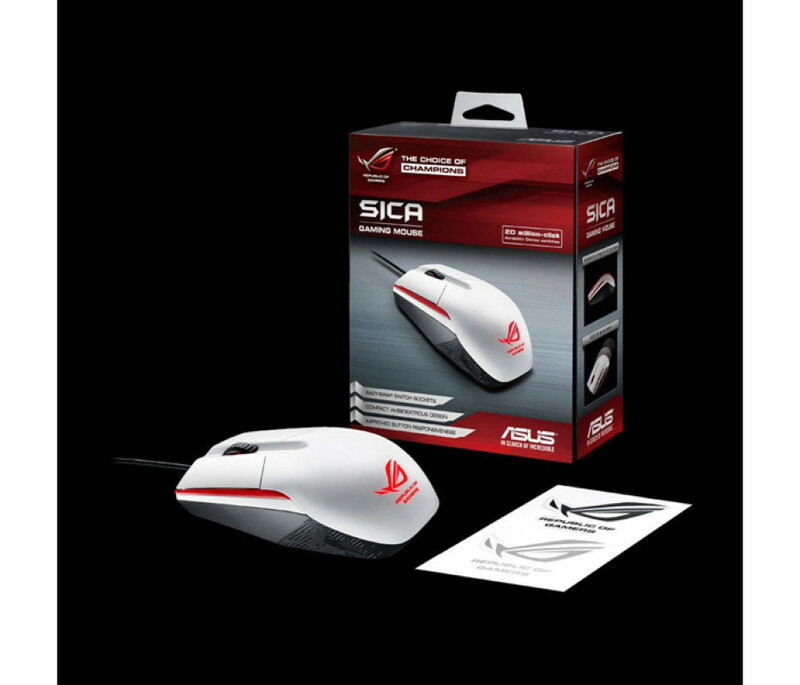 The ROG Sica mouse is designed for gamers and comes with an ambidextrous design. The mouse features a simple independent two-button and single clickable scroll wheel setup. It comes with an improved exclusive easy-swap switch socket that allows users to customize click resistance with Omron switches that offer at least 20 million clicks of durability. Moreover the left and right mouse buttons are separated from the main mouse body to reduce travel distance to ensure increased button tactility and responsiveness. The new mouse offers a 1000 Hz polling rate and an optical sensor that tracks at up to 5000 dpi at speeds of up to 130 inches per second and 30g acceleration for excellent and pixel-precise mouse tracking. The white version of the Sica gaming mouse features a glowing ROG logo and intricate Mayan-stenciled side panels to give it presence. It has a gold-plated USB 2.0 connector, and low-friction Teflon feet. There’s also on-board memory for saving profiles as well as special ASUS Armoury software that allows users to customize button functions, performance settings and more.